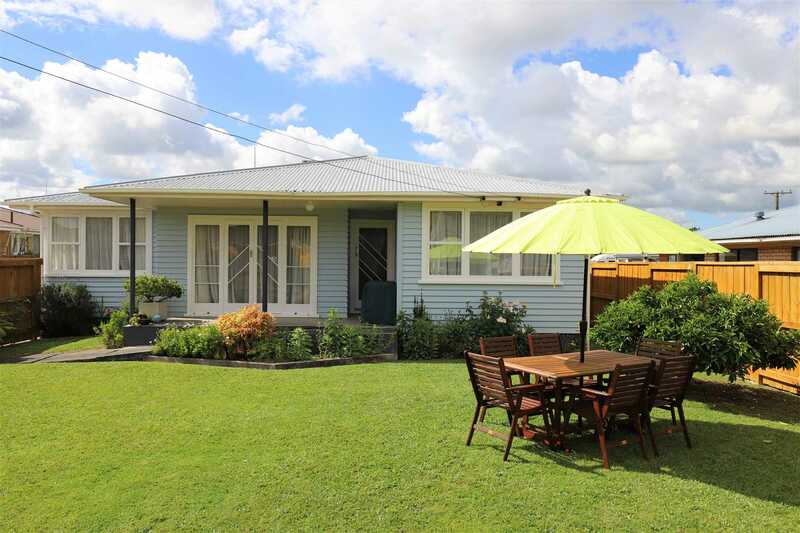 Enjoy the benefits of this neighbourhood that is home to popular Hillcrest Schools, Waikato University, all levels of education are in easy reach, and with the Hillcrest New World and shopping centre across the road. This property is very appealing and well suited to a young family or investor wanting to get into Hillcrest. This immaculate weatherboard home has been well cared for and maintained over the years and sets the scene for alfresco living through French doors on to a private courtyard with all day sunshine. There are three double bedrooms, open plan kitchen/dining room, and formal lounge. The backyard is private with a single garage and attached outside room, to space for parking, and lawn for children and pets to play. Easy care gardens with fruit trees and berries. This popular area is easy accessible to main commuter routes, and public transport. Tenure Detail Firstly, an estate in fee simple being an undivided 1/2 share of 1144m2 more or less being Lot 1 DPS50529; and secondly, an estate in leasehold being House 1 DPS50995 and Shed 1 DPS 50995, and Garage 1 DPS50995 as specified on L H899718.8 for a term of 999 years commencing on 2.5.1989, as contained in Certificate of Title SA44C/50.